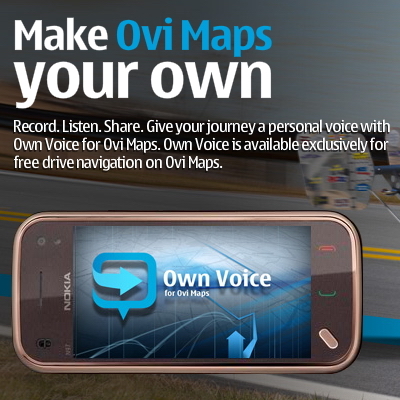 Nokia’s Ovi Maps made its voice-guided navigation free, but it still lacked conversational value. An idea was suggested to pay a well-known actor a substantial amount of money to record his voice for the navigation, in order to increase the excitement factor. For a fraction of the amount that would have been paid to the actor, I went away with a local Finnish agency and built an app that meant anyone could record their own voice and send the voice-pack to friends or relatives. The app was then integrated into the overall campaign by the team at Nokia and our agencies. The basic idea is that this appcreates an eco-system of digital gifts, so that it has a truly viral, peer-to-peer distribution. Well over a million people have downloaded this app, the app got tonnes of coverage in the press and blogosphere and the app won Bronze at the 2011 Cannes Lions. Working with the awesome team at Aardman Animations, we used the Nokia N8 and a microscope attachment to create the world’s smallest stop motion animation – literally a Guiness World Record! It has been viewed almost 3 million times on Youtube, and won the Best Film prize at the prestigious EPICA awards. I’m really proud of being involved in this. I was an integral part of the team that created Nokia’s digital marketing strategies, with a particular focus on SEM strategy and Social Media developments. My blog posts on our team’s “Owned, Bought and Earned” media strategy has become the number one and two ranked in Google, and has been referenced by Forrester in their subsequent report on this way of looking at the digital media mix. Nokia often lends products to people for reviews and other such things, but we wanted to do something more creative with the Nokia N8. We wanted to reach out to a new breed of video-maker, to encourage the sort of exciting consumer-generated videos that people love to watch to be shot on this HD-quality device. By reaching out to the right people, and offering the prize of a once-in-a-lifetime zero gravity flight, we got some of the highest quality User Generated Content I’ve ever seen from this kind of initiative. Usually I focus on the digital and social media elements of campaigns, as this is what I am most interested in. In this case though, I led the whole campaign, including retail and ATL elements. We turned the assets around in a record-short time by Nokia’s standards, and also managed to produce a great blogger engagement concept with Elle magazine (led by fantastic Prima Sung) and one of the wildest Nokia videos ever produced (led by the awesome Phil hickey). Shot in the Arctic Circle, this bonkers film made great use of the Nokia N8’s filming capabilities. Featuring the music, and the mouths, of the band Kap Bambino, we follow the story of two men who clearly have a history, but compete using their brightly coloured remote-controlled helicopters. This film was a risk for a brand like Nokia, but the Vimeo community and creative-types around the world, appreciated the craziness and the innovative film-making techniques. With announcements of products often coming many months before sales start, Nokia were criticized by some people for releasing animated videos that did not represent the eventual true experience of the device. For the Nokia N8, we felt it was important to produce truly authentic videos of how the device was working at that point. We filmed these on a very low budget, with a straight-forward feel, and they have gone on to be some of the most watched films Nokia has made. p.s. I did the voice-over myself..! For the Nokia Open Labs event in 2008, we invited 50 influential bloggers and Nokia fans to Helsinki for 2 days of workshops and of course some fun activities too! The idea was to listen to these highly-informed people, to generate new ideas especially for our products and services, and to build brand advocacy based on genuine relationships. Particular thanks here go to the awesome JP Erkkola and Anssi Makela for doing great work on this. 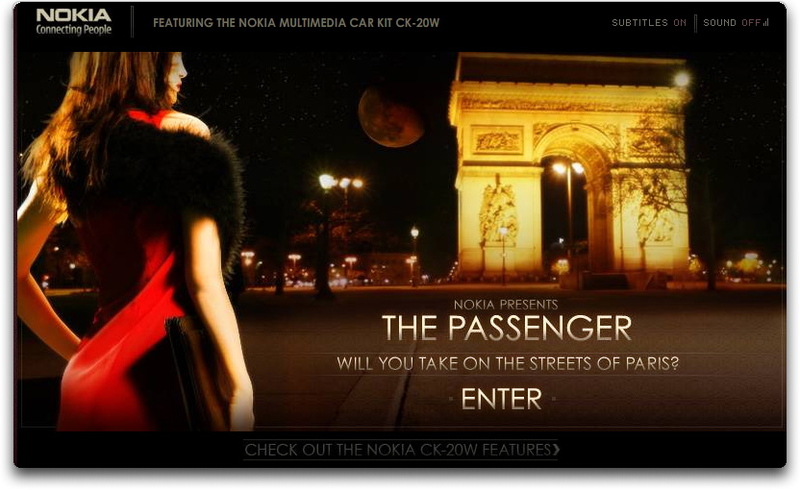 A highly-innovative digital campaign, that stitched together video of the streets of Paris into a flash-based driving game, to sella Nokia car Kit. The features of the car kit were integrated into the game, and the film noir feel gave the whole experience an exciting edge. The game was played almost a million times, and hundreds of bloggers spread the word about it. I was briefed to create a “edgy viral campaign” for the N95, to explain how it was now a Multimedia Computer and not just a phone. Much as I didn’t like the idea of creating a viral, but the idea for Jealous Computers, of laptops literally attacking their owners because they were jealous now that the owners had pocketable devices that did 90% of what their cumbersome laptop could do, was crazy enough to work. It was a riot of a campaign to make, and won a bunch of awards, including the Webaward for Outstanding Achievement in Web Development. I was Junior Product Manager, and then Product Manager, for an innovative software called Nokia Lifeblog. In fact it was probably well ahead of its time, incorporating mobile blogging functionality before any competitor product and a phone content storage solution that is still the benchmark for usability. Although the product no longer exists (it was a victim of some of the usual politics and “not invented here syndrome”, Lifeblog functionality lives on in other parts of Nokia phones. But the project taught me a great deal about product creation, and also got me interested in social media, before Facebook was open to people outside Harvard, and before Youtube even existed! With the aim of repositioning the Nokia E71 from a business phone to a style and design device, this site used very innovative techniques and persuaded the right people that Nokia had some serious credibility in this area. We did this by making something that would appeal to the difficult-to-please art and design crowd. The site itself was stunning, and we took longer than usual to make sure that it felt just right. The site also featured four short pieces by well-respected video artists, with the brief: “Beautiful Connections”. Finally there was two interactive elements, the mobile and the PC web-cam generative art creators. This site won site of the day honours and was well-received in the art and design community.